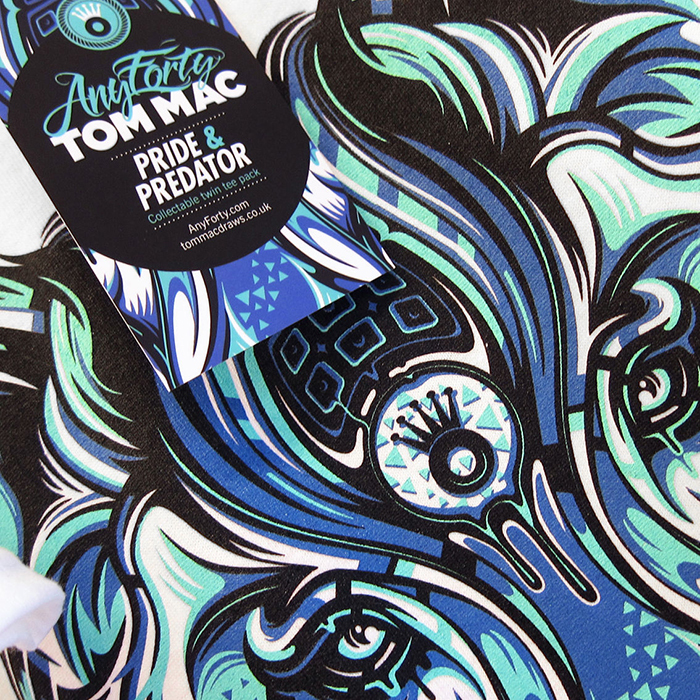 AnyForty re-visit their work with artist Tom Mac, breathing new life into a previous design and accompanying it with a completely new artwork in this ‘Pride & Predator’ two T-shirt pack. 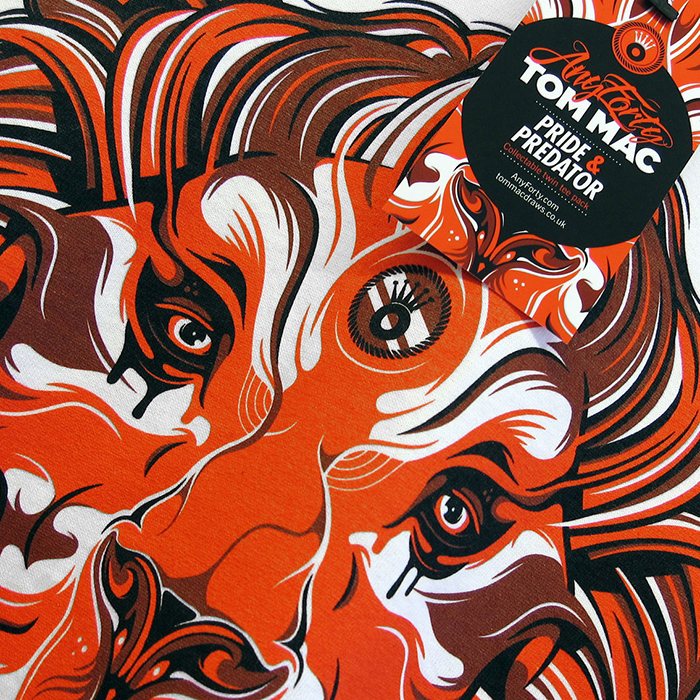 The pack features the return of Tom Mac’s ‘Pride’ lion design, one of AnyForty’s fastest selling T-shirt graphics, in a new red/black/white colourway – much like the one you’ll find adorning the walls of AnyForty’s Boxpark store. 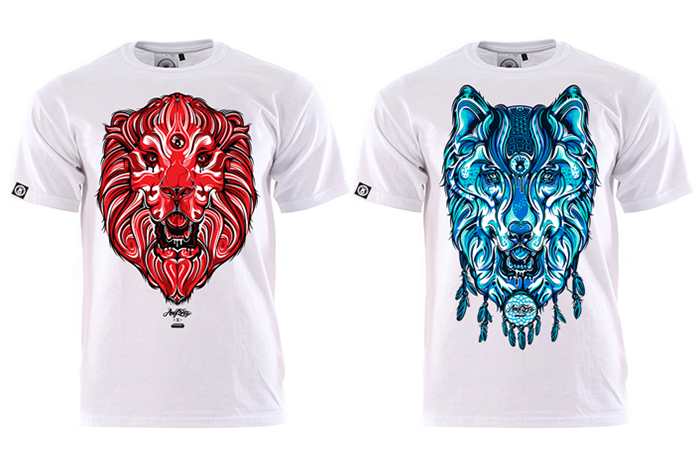 It’s joined by a second of Tom Mac’s designs, the ‘Predator’ wolf in a contrasting series of blues. 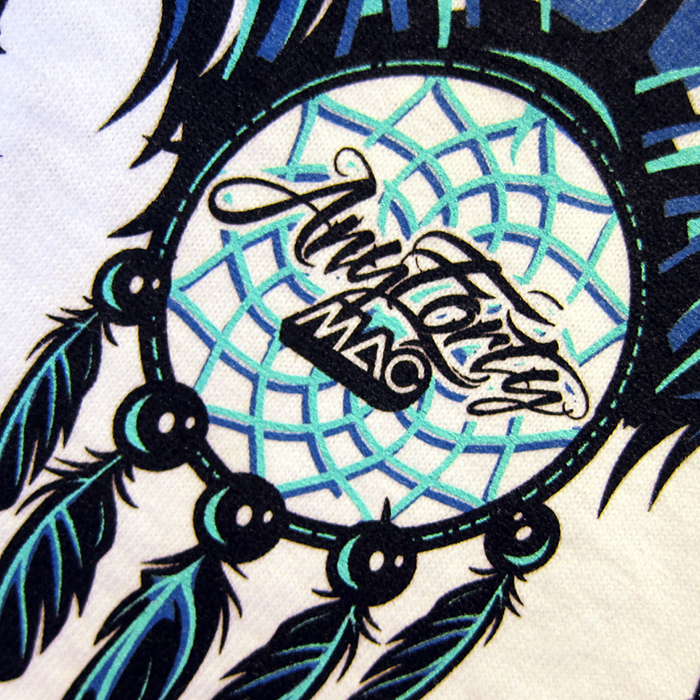 As we expect from the brand, both prints are of the highest quality and really show off Tom’s work. 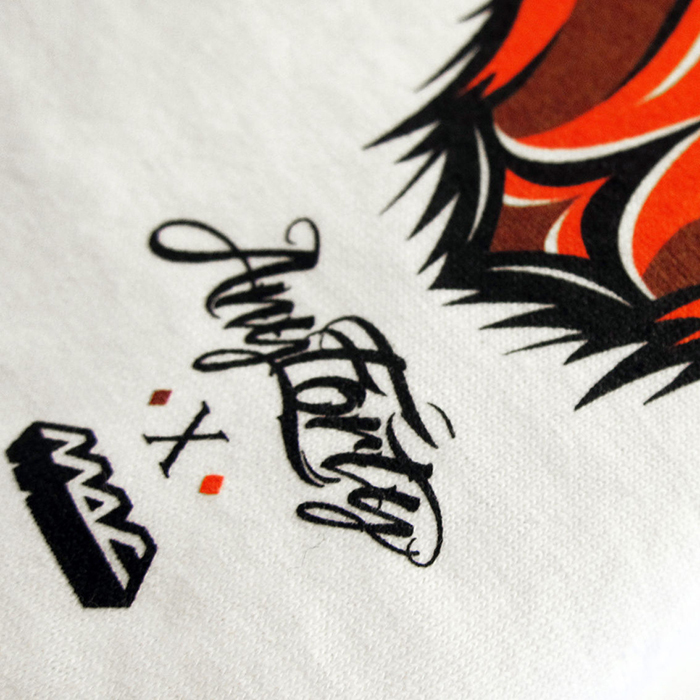 Both designs come on white tees, printed with AnyForty and Tom Mac logos and are limited to just 50 sets. They’ll likely fly as quickly as the first Pride design, so I’d recommend getting in there quick. The pack is available from AnyForty and their Boxpark store now.